A truly magical experience this Christmas! 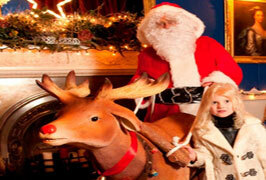 Winter Wonderland at Westport House is the most magical family experience this Christmas! Make sure to write down your wishes and hang them up on a branch on the Christmas Wishing Tree to have the best chance at making your Christmases wishes come to life! Make your own Christmas Decoration to take home for the Christmas table.